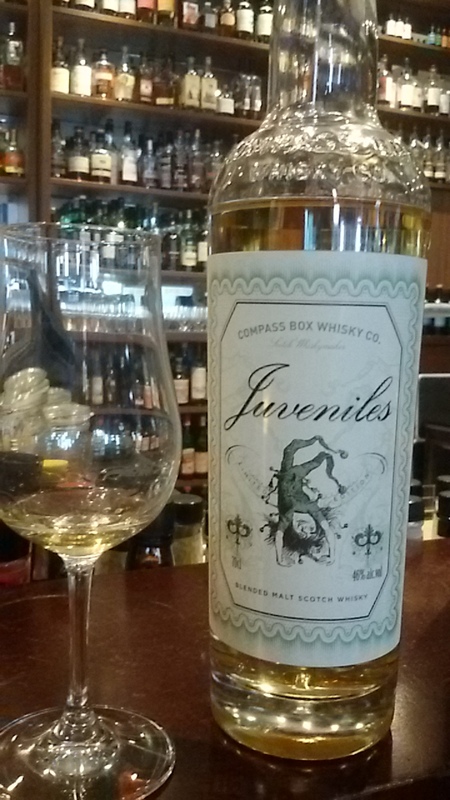 One of the Compass Box whiskies I sampled recently at La Maison du Whisky in Singapore was the playful Compass Box Juveniles. This is a clear example where the marketing and whisky character are a perfect match. The green juvenile joker on the label is spot on with the whisky – joking, teasing, chortling its way around your palate. This is no mature robust serious complex dram, it is unabashedly effervescent and fun. The original bottling was exclusively for the Juveniles Bistro a vins in Paris and I understand it had a stronger character yet still in keeping with a light convivial atmosphere. However its popularity lead to Compass Box creating a 20 year anniversary edition and now a limited retail version. The one I sampled was bottled in September 2014, part of 1,806 bottles and contains whiskies sourced from Glen Elgin (apparently 15 year) and Clynelish (thought to be 9 year) distilleries, aged in American oak barrels. 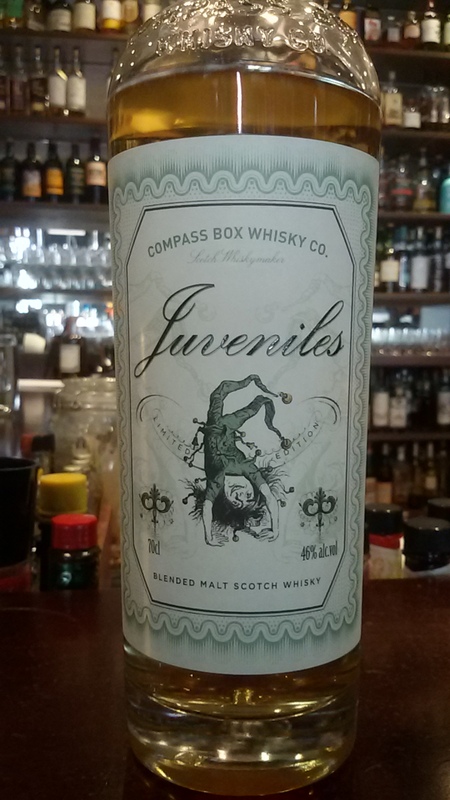 This entry was posted in Blends and tagged Compas Box, Juveniles, Juveniles 46%, La Maison du Whisky, Scottish Blends, Singapore by Carissa Hickling. Bookmark the permalink.